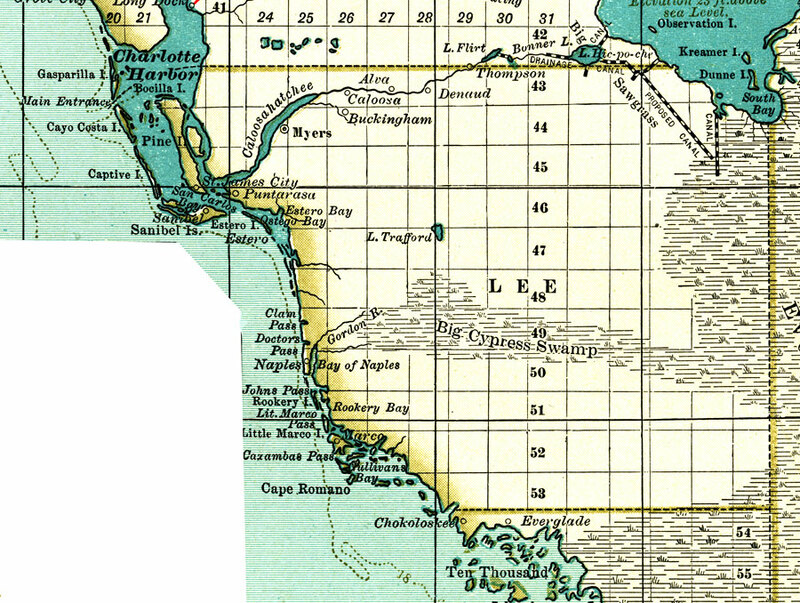 Description: A map of Lee County showing forts, major cities, towns, bodies of water, county lines, the county seat (Myers) current to 1897. Township and Range grids extending from the Tallahassee Meridian and Tallahassee Base Line are shown. Proposed drainage canals southwest of Lake Okeechobee are shown.